Myrtle Beach residents now have a convenient and affordable opportunity to discover the multitude of new attractions in Niagara USA (http://www.niagara-usa.com). New non-stop service between Myrtle Beach and Niagara Falls has created an inexpensive and convenient route for Myrtle Beach residents to experience all the Niagara Falls region has to offer. Niagara USA is experiencing a renaissance, offering travelers to the region a broad scope of new activities to enjoy. "From our wineries and world-class dining, to gaming at the Seneca Niagara Casino and Hotel, to art museums and historic attractions, Myrtle Beach residents can experience more than just Niagara Falls in Niagara USA," said John Percy, president and CEO of the Niagara Tourism & Convention Corporation. NTCC officials greeted nearly 100 passengers on Myrtle Beach Direct Air's first flight to the Niagara Falls International Airport on Friday, March 9. "We are excited to welcome Myrtle Beach Direct Air's passengers to Niagara USA," Percy said. "Both first-time visitors and returning visitors from Myrtle Beach will be pleasantly surprised by the growth in tourism opportunities available to travelers to the American side of Niagara Falls." 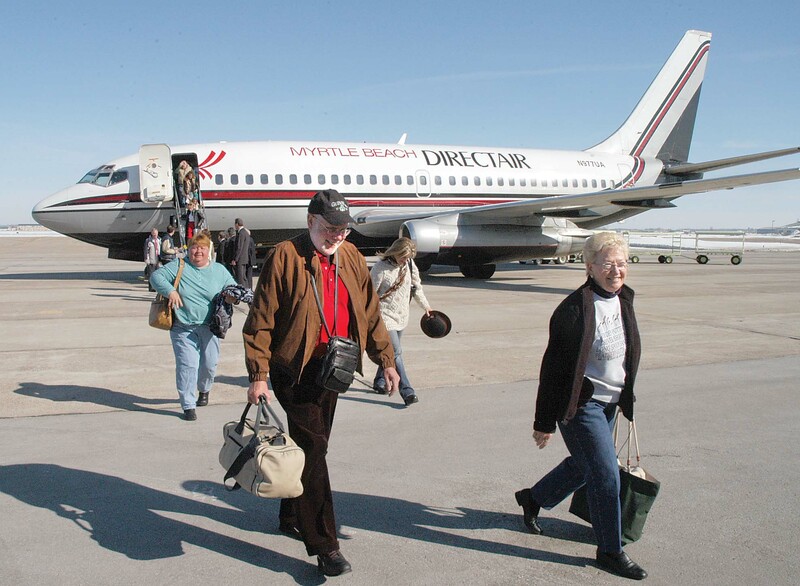 Myrtle Beach Direct Air offers Myrtle Beach residents twice-weekly non-stop flights to Niagara Falls International Airport every Monday and Friday. Reservations can be made online at http://www.myrtlebeachdirectair.com or by calling toll-free 877-432-3473. For a free Visitors Guide, call 1-877-FALLS-US or visit http://www.niagara-usa.com.